Welcome and congratulations on your decision to pursue a higher level of health and function! gain a valuable learning experience in maintaining optimal health naturally and preventing illness and disease. Chiropractic Adjustments help the body right itself, Naturally. Your body was born with an innate or inborn ability to heal, regulate, grow and thrive! The chiropractic adjustment helps the body right itself naturally. Your inborn healing ability has a better chance to function as nervous system integrity is restored. That’s why chiropractic care has helped millions get well and stay well without drugs, shots or surgery for over 100 years and counting. Integrated care with Acupuncture,Functional Nutrition and Ayurveda. Ethical and thorough patient care. Our advanced computerized diagnostic and assessment technologies, (see services page) sets us apart from the typical neck pain and back pain chiropractic office. Leave your troubles at the door and enter our tranquil center where you can relax, and focus on your healing. In addition to chiropractic, Dr. Phil Zair provides the Acupuncture in our center and utilizes the Electro-Meridian Imaging technology to assess your meridians. Dr. Melanie Dias helps many regain their health with Functional Nutrition, hormone balancing, lab testing and extensive analysis and interpretation. With our combined 40 years experience, we have been delivering quality family wellness care to the Northwest Valley since 2003. 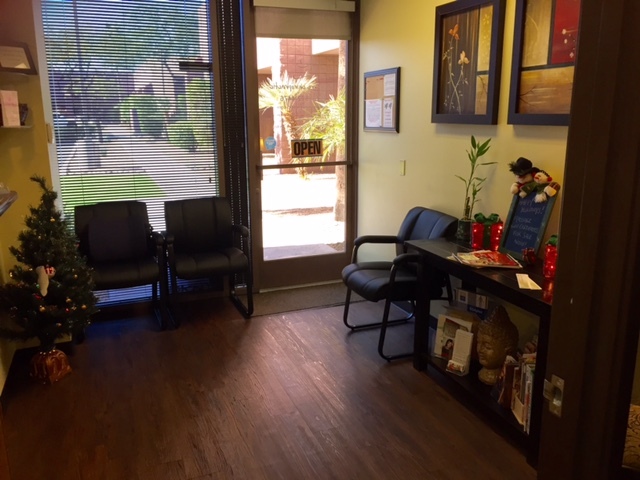 Please contact Living Pure Chiropractic ar our Glendale office to discuss your health and wellness goals. For more information on starting or continuing chiropractic care please click the e-mail link below or schedule a health and wellness consultation with us today (623) LP CHIRO. We bill most health insurance and our office will do a courtesy benefits check for patients. Please note: Individuals in need of our services who lack insurance or have limited coverage need not worry. We offer a time of service discount for services.